The Costa Rica Pacific Slope Pacific Slope Trail Network is a vision to link forests and rural communities along Costa Rica’s Pacific Slope. 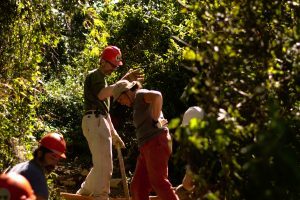 It begins in the famous Monteverde conservation region, and will encompass a network of trail systems, huts, conservation properties, ecological agriculture initiatives, alternative energy, and wastewater treatment and water conservation projects. 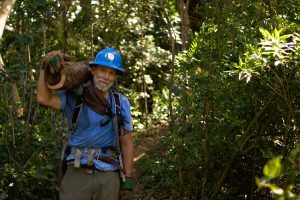 The Sendero Pacífico envisions a network of freely accessible hiking trails in Costa Rica located between the Monteverde Cloud Forest and the Gulf of Nicoya in the Bellbird Biological Corridor. Trails pass through a variety of ecological life zones, land uses and communities. This is a grass roots project with trails being developed by the communities along the way. There are currently five active Sendero Pacífico communities and it is possible to walk between the Monteverde Cloud Forest Reserve and the town of Guacimal. Pacific Trail hiking. We have a great opportunity to recreational walks through the peaceful path, with the possibility of walking from San Luis to Guacimal, oriented in various options, San Luis by BEN, to the hostel amapala and leave the same day for San Luis, also the possibility of hosting and leave the next day to San Antonio Guacimal through this in two days of walking.